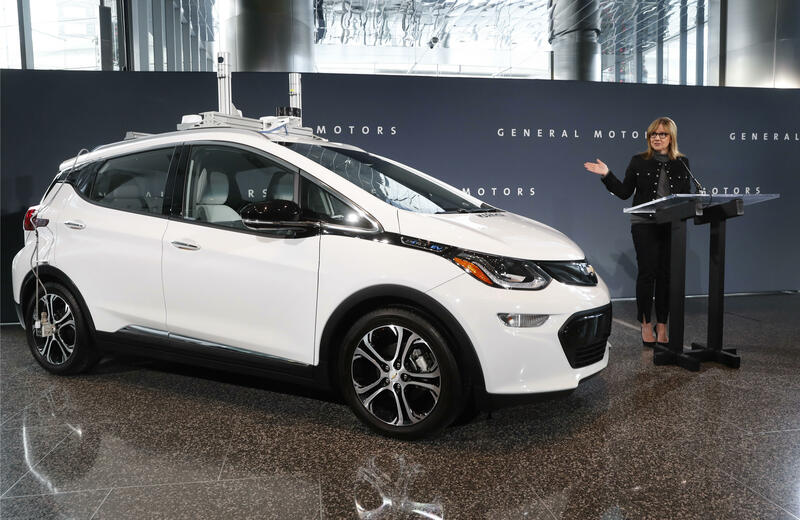 General Motors and Honda Motors are teaming up in a multi-billion-dollar effort to deliver self-driving vehicles to the mass market. The Japanese automaker is making a $750 million equity investment in GM Cruise, the Detroit company's self-driving unit, and plans to spend another $2 billion over a dozen years jointly developing autonomous cars for "large-scale deployment," the companies said Wednesday in a statement. The pact "marks a significant milestone in moving self-driving closer to reality," observed Michelle Krebs, an analyst at Cox Automotive. "It also demonstrates that global partnerships like these – Detroit, Silicon Valley and Japan – are necessary to take on these expensive ventures that likely will not return a profit in the near-term." Shares of GM were up 2.5 percent Wednesday on word of the investment by Honda, which gets a 5.7 percent stake in Cruise and saw its shares fall 3.5 percent at midday. GM is competing with others in the race to mass produce self-driving vehicles, including Waymo, Alphabet's Google autonomous-car business. GM bought Cruise about two years ago for $581 million. The investment announced by GM and Honda on Wednesday values the self-driving car unit at $14.6 billion, and it follows a $2.25 billion investment in Cruise by SoftBank Vision Fund at the end of May. Other auto and tech industry players also are teaming up on self-driving cars. That includes BMW, Fiat Chrysler and Intel, which joined forces last year to work on autonomous vehicles, and Uber and Toyota, which announced a similar partnership in August. Waymo is viewed as leading the field in developing self-driving vehicles. The Google unit plans to put autonomous cars on the road in a ride-sharing service in the Phoenix area by year-end.